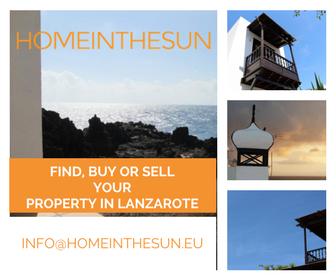 Lanzarote is and has been an important wine region due to its unique landscape and cultivation methods, since the 1700`s. The Canary Islands were an important hub for wine merchants to trade in before tourism even existed and the local wines are a big part of what the island is today. 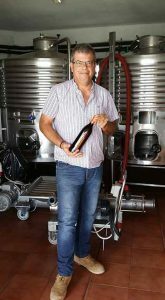 This week is ‘Malvasia: Lanzarote Wine Week’ and for this reason we went along to Bodegas Martinón to have a talk with owner Eduardo Martinón and take a tour with him. Eduardo, the manager and proud owner, comes from a long line of grape farmers and wine makers. The Bodega produces some great wines which are beginning to be become popular in local restaurants. Located in the Masdache area in Tias and surrounded by a beautiful natural landscape of vines and volcanos it is certainly the best place for this ancient fruit to convert in to great wines. Following in footsteps of his family, who owned several ancient vineyards, Eduardo founded Bodegas Martinón in 2006. He proudly ventured into the creation of his own winery with a passion to show the world how great the wines of Lanzarote are. That was 10 years ago and each year the wines keep getting, particularly his pride and joy the 100% dry ‘Malvasia’. One of Eduardo’s passions is producing a single-variety of Malvasia (monovariety – wines that are exclusively made with a unique variety of grapes). In order to produce the volumes necessary, other winemakers in the region joined Eduardo in his quest. The wines produced by Bodegas Martinón, are made of strains of this noble and interesting grape variety, which is nurtured with much care and attention. The wines are produced by hard work, sun, soil, machinery, respect and love for the land and bottled in the Bodega. Using “Malvasía in pure state”, they follow exactly the technology and processes that enable them to not only extract the juice of the grape but all the varietal character of the Malvasía and transfer it to the final product, the wine. Their flagship wine Lanzarote 100% Malvasia Volcanica Seco is excellent, the wine is clean and pale with an obvious green hue. The tasting notes describe the character and taste as follows: the nose is discreet but with personality, delicate, memories of white flowers and apricots. Good pace and pleasant with a hint of citrus, and a nice dry finish on the palate. 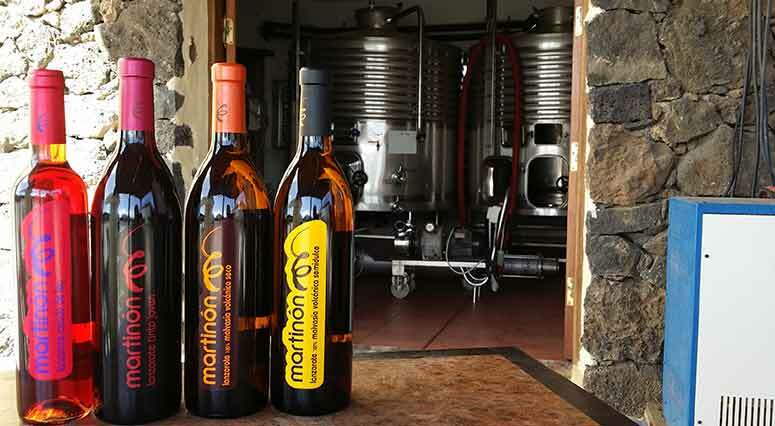 The Bodegas Martinón also produce red, rosé and semi sweet wines, you can find out more via their website. If you’re interested in meeting Eduardo and taking a tour or even placing an order for his wine, complete the form below and let him know.